← First Look Images From Hasbro Showroom Floor! Check out the official promo photos of the upcoming The Phantom Menace Black Series figures Darth Maul and Padawan Obi-Wan Kenobi! 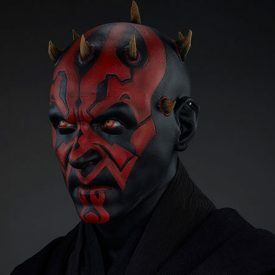 The pre-order is live for the amazing Darth Maul life-size bust. Click here for the pre-order page and additional details. 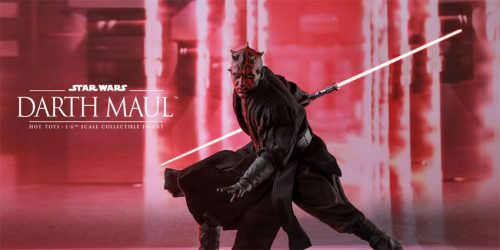 Sideshow Collectibles has all editions of the newly announced Sixth Scale Darth Maul figure up for pre-order. Pick your Sith below! Wow! 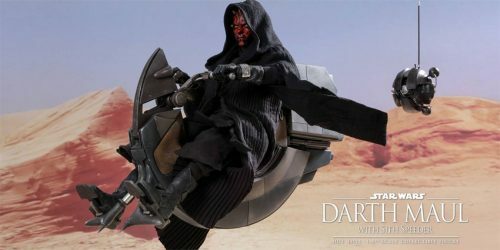 Hot Toys is kicking off their debut The Phantom Menace sixth scale figures with a bang! 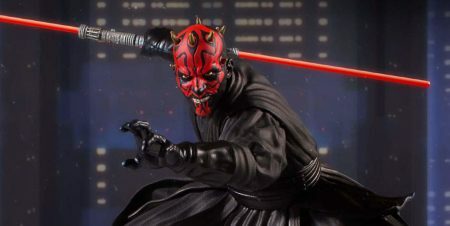 Not only do we get an amazing new Darth Maul figure, we get a sixth scale Bloodfin to boot! Check out the full gallery of this set right here! Hot Toys unveiled an all-new Darth Maul sixth scale figure today. Check out the full gallery on their Facebook page! Sideshow Collectibles has unveiled a new Darth Maul Life-Size Bust. Click here to check out the full-size preview page. 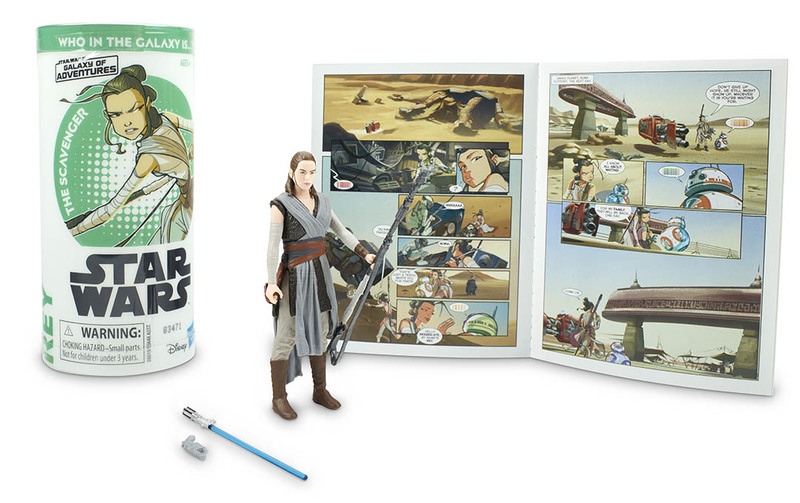 We are jumping back to the new Star Wars [Solo] line for our next few Visual Guide updates. 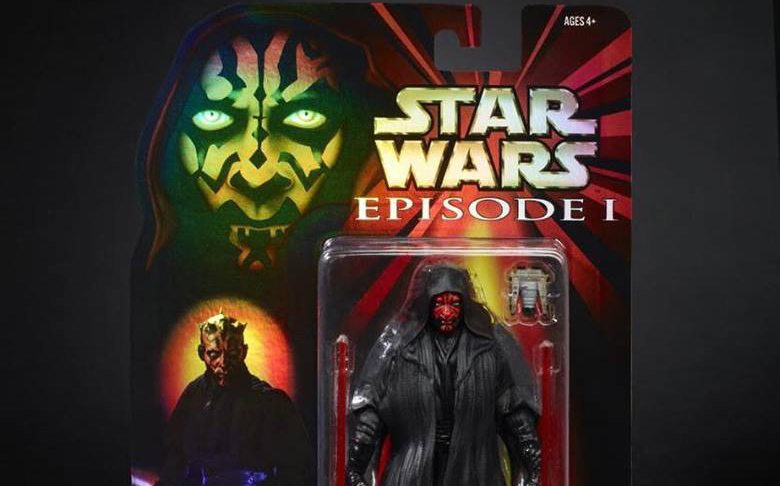 Click below to check out the Darth Maul/Qui-Gon Jinn Two-Pack. You can also visit our full review of this set right here. Well, this didn’t go the way we thought it would. The Darth Maul/Qui-Gon Jinn Two-Packs set has positives, but many negatives. And the problems are all deco-related. Learn more in our Research Droids Reviews today! Be sure to leave your thoughts in our comments section, vote in the poll or even comment about it on our Facebook page. Click the banner below for the direct link to the review! As always, you can also send your review requests via email if you’d like to see something that we didn’t cover yet. ← Who You Gonna Call? I Ain't Afraid Of No Minimum Backing! 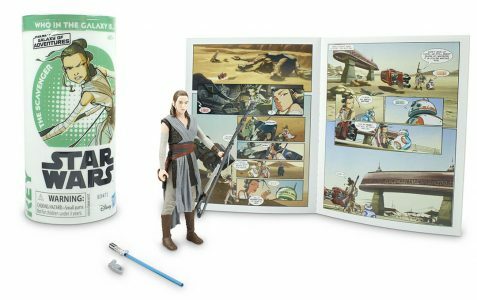 We have an update for our Star Wars [Saga – Phase III] Visual Guide tonight, featuring the Collectible Figure and Cup Darth Maul set. Click below to see our full Visual Guide. You can also see what we had to say about this set in our full review. 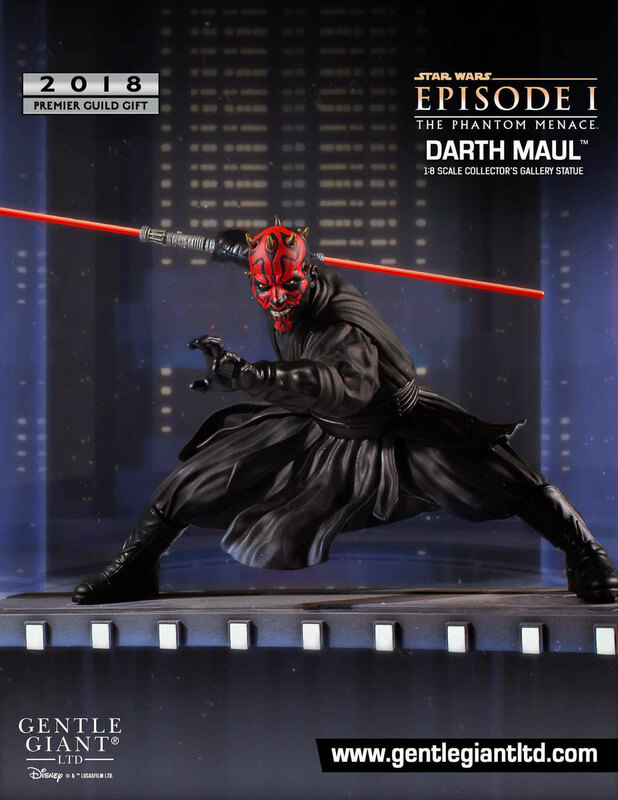 Let’s check out Darth Maul from the TARGET exclusive Collectible Figure And Cup collection. He is the focus of our Research Droids Reviews today! Be sure to leave your thoughts in our comments section, vote in the poll or even comment about it on our Facebook page. Click the banner below for the direct link to the review! As always, you can also send your review requests via email if you’d like to see something that we didn’t cover yet. Darth Maul had just learned about an auction on an item that he can’t resist. Now, he just needs to find out where it is and how to get in. 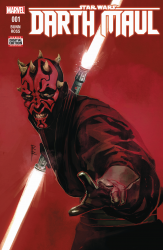 Check out who Maul enlists to assist his efforts in Darth Maul #2! If you haven’t yet, be sure to check out the other Research Droids Reviews Comics section and don’t forget to drop me a line with your comic review requests. Your requests will decide what series I do next! ← Make Your Best Offer For 50+ TBS6 Loose Figures! Darth Maul was one of Star Wars biggest one hit wonders when his time in Episode I was cut short by a young Obi-Wan and after losing him for good recently in Rebels, but it’s nice to know there’s still more to tell! I’m playing catch up with the newer Marvel series for the new Research Droids Reviews Comics section, so today I bring you Darth Maul #1. 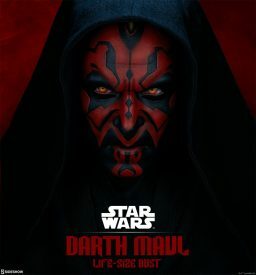 Come and see why I can’t get enough Maul with the latest review. Be sure to leave your thoughts and opinions in the comments and don’t forget to drop me a line with your comic review requests! 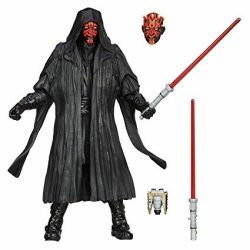 For any concerned readers out there, the Darth Maul figures available on Amazon from Toy Vendor UK are 100% legitimate TBS [P1] Darth Maul figures. I received mine over the weekend and I can guarantee these aren’t bootleg figures. I had to get one to be sure. Plus, the stickers were simple to remove. They only have six (6) left as of this post if you’re interested. ← Pre-order Imperial Royal Guard, Qui-Gon, Lando, Tusken Raider NOW On Amazon! Real Or Not Real, That Is The Question! 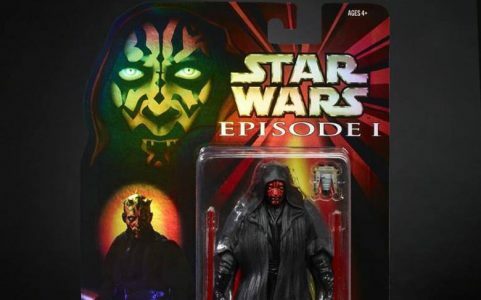 I have seen my fair share of Darth Maul bootlegs (as I’m sure you all have), but this seller’s seems to be legit. The real question is: Is it or isn’t it? Find out after the jump.